Some serious hot pink lips coming you way! I’ve been madly obsessed with hot pink lips lately especially with the hot summer months I love wearing something bold and bright. 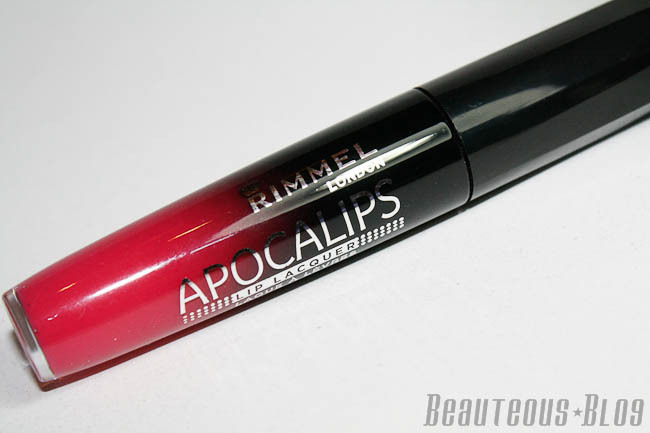 I picked up the much talked about Rimmel London Apocalips in Apocalyptic after hearing amazing reviews on it. Lets see how it worked out for me! Apocalyptic is a vibrant off-the-charts hot fuschia pink. It’s a gorgeous shade, I picked this one up because it stood out the most for me compared to the other shades in the range. The consistency of the lip lacquer is very thick and rich so you get a good color payoff even with the thinnest layer of application. With a thin application is dries matte but with a full coverage application it has a satin texture finish. The applicator is really unique in delivering product on your lips. 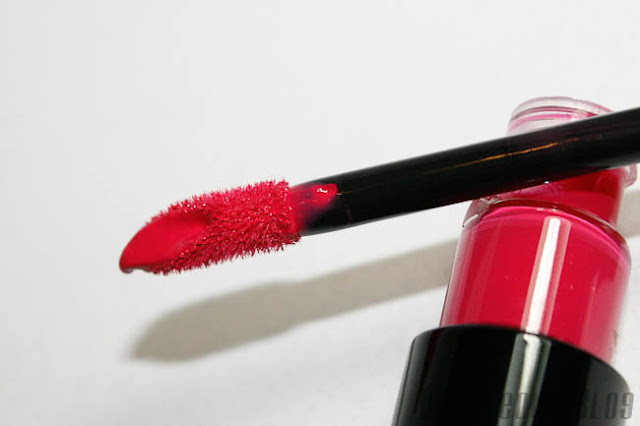 With the formula being very creamy and opaque you just need a little amount to cover your entire lips. It has a dense center so you get too much product on the applicator. Because the shade I picked is so intensely vibrant, the dense center works horribly. I end up with too much product on my lips which then transfers onto my teeth. I tend to use a lip brush for a precise application then I go over it with the applicator wand if I want a rich color. Although I love the color, I prefer wearing it with a thin layer which gives a soft wash of color without looking too bold. I love how you can tone down the color to make it more daytime-friendly. 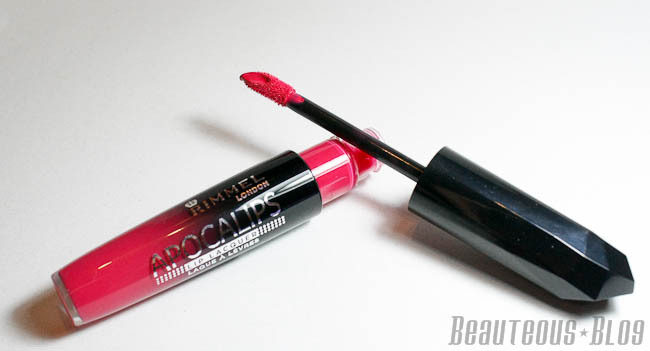 The product does settle into fine lines on the lips after a few hours when the gloss texture wears off. Although it doesn’t dry out my lips, it does feel a bit tight. The staying power does last for hours without touchups, I prefer applying a bit of lip balm if I notice it settling into fine lines. Overall, I love the whole concept of these but with such a bright color the applicator is really a pain to work with since applies too much product. Wow, very gorgeous red, looking beautiful on your lips!! That's a super hot shade! :) GOod review! I have this is in big bang and Celestial. Wonderful pigmentation.